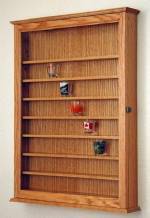 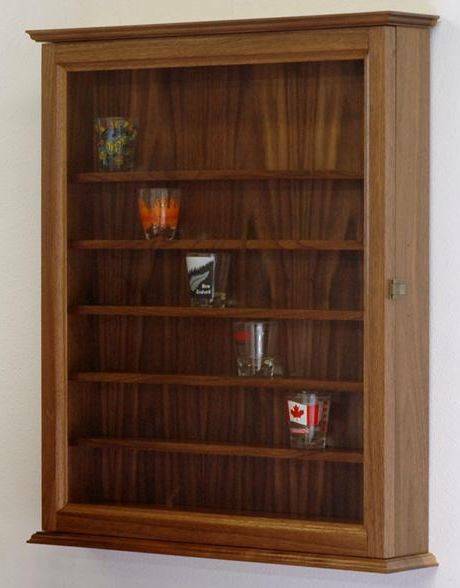 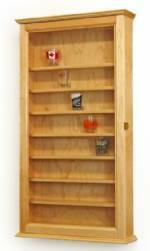 This finely crafted shot glass display case is hand built and finished in the USA from your choice of solid hardwoods: oak, maple, cherry or walnut. 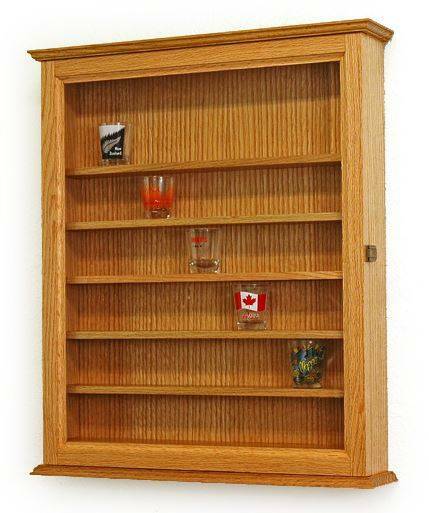 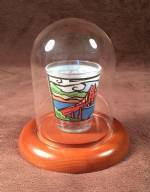 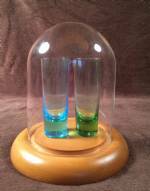 With 5 shelf spaces to hold your standard shot glasses up to 2.25" tall, and one with a bit more space to accommodate larger, shooter style glasses up to 4.5" tall, this cabinet is perfect to house your collection of shot glasses or other small collectibles. 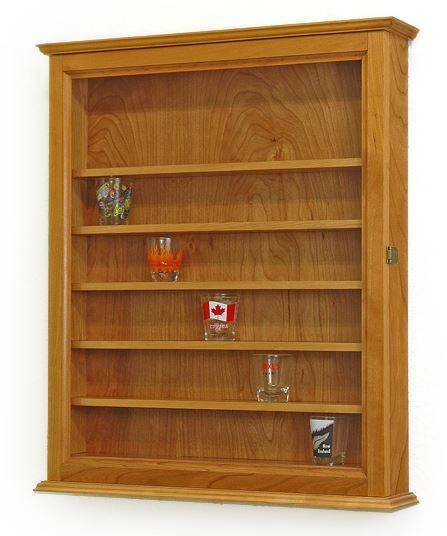 Featuring real glass in the door front, brass hinges, a quality door latch, and equipped with hanging hardware, these cases are protected with a durable clear finish that highlights the natural beauty of only the finest North American hardwood. 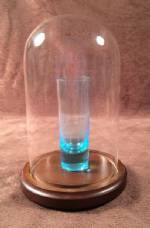 Case measures 21" tall x 19" wide x 3.75" deep on the exterior and 18.25" tall x 17" wide x 2.25" deep on the interior. 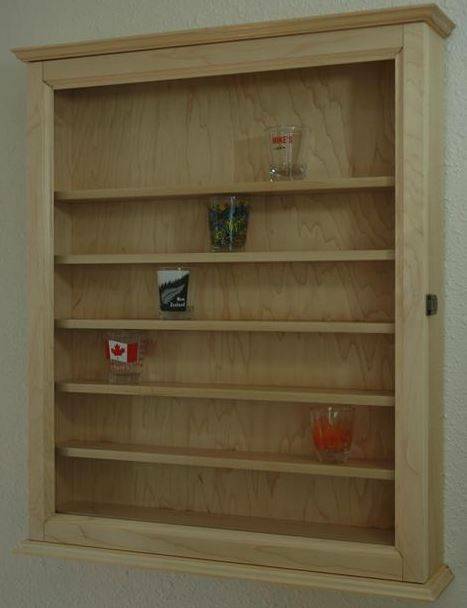 Designed to last a lifetime, this case will highlight, protect and display your shot glasses, small liquor bottles, action figures, and other small collectibles.